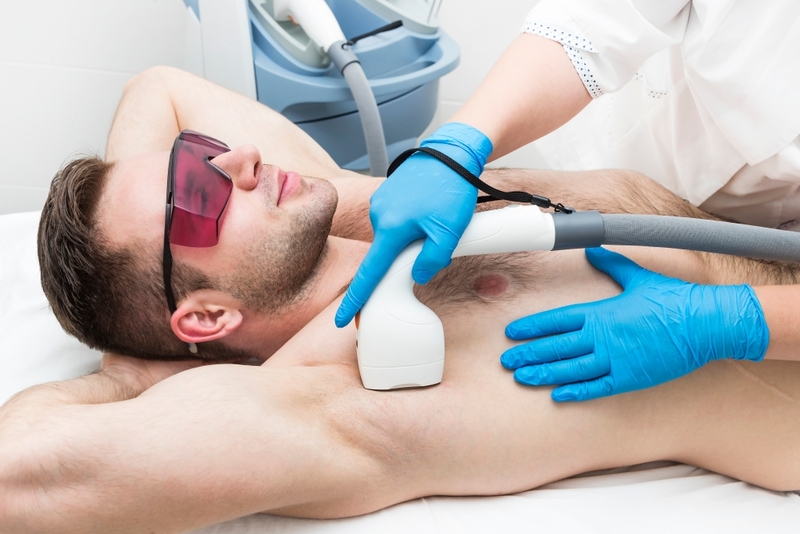 Super Hair Removal works differently to IPL hair removal by slowly heating the dermis to a temperature that effectively damages the hair follicles and prevents re-growth. This is done while avoiding injury to the surrounding tissue. Short pulses at a high repetition rate are then delivered deep into the dermis, resulting in a high average power and therapeutically effective heat build-up, with virtually no pain as it has a built in cooling system. Compared to regular laser hair removal systems which fire about two to four high-powered beams into each hair follicle, the Super Hair Removal system fires minimum ten to twenty beams onto each hair follicle during each of the treatments. It is like firing a machine-gun as opposed to using a shotgun. The Super Hair Removal system has been FDA certified for hair removal. Super hair removal effectively targets the deep rooted hair follicles and permanently damages them unlike shaving, waxing, or hair removal creams which only remove the hair shaft. But the best part of it all is that its a very comfortable procedure. It is not painful and can be used on the most sensitive body parts. Comparing SHR, IPL and Laser hair removal? IPL uses a whole band of unfocused lights which when they hit the skin, with a lot of useless energy, causing excessive heat damage and lots of pain. Laser hair removal is painful as it uses a strong focused beam of energy passing through the skin while trying to reach the hair follicles. Super Hair Removal™ uses low energy levels, therefore it is painless as compared to IPL hair removal or Laser Hair Removal. Because of the low energy, it also severely reduces the chance of burns, even for asian skins. Super Hair Removal™ has a built-in cooler on its probe that cools the skin surface, preventing superficial burns and the sensation of pain. The patient will only feel a mild warmth on the skin, unlike IPL or Laser hair removal, which does not have the in-built cooler. Typically, 10-20% of treated hairs will drop off 2 weeks after the first session. The recommended treatment course is 6 sessions, once every month. 95% of treated hairs will be removed if the 6-session treatment course is followed. All our Super Hair Removal™ treatments start with a full consultation and a patch test. During this consultation we will assess whether this treatment is suitable for you as well as determine a personal prescribed treatment plan which will give you the best results. Super Hair Removal™ is a great lunch time treatment as it is super quick and effective!